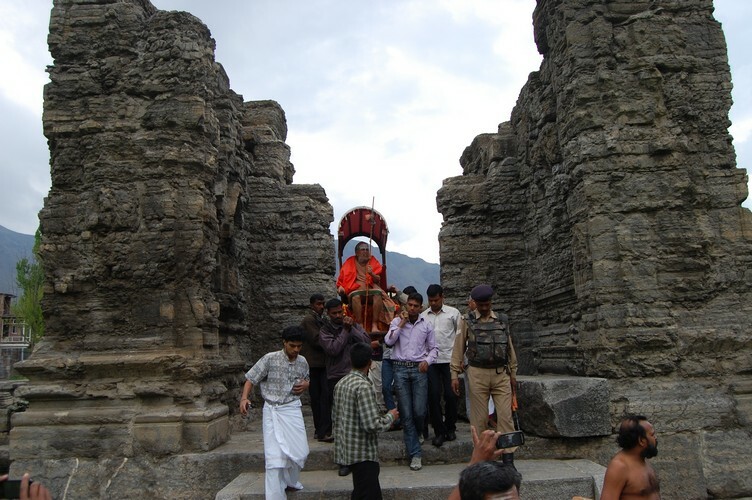 His Holiness Pujyashri Jayendra Saraswathi Shankaracharya Swamiji visited the ruins of the magnificent temples at Avantipur on the outskirts of Shrinagar in Jammu & Kashmir during his recent Yatra to J&K. 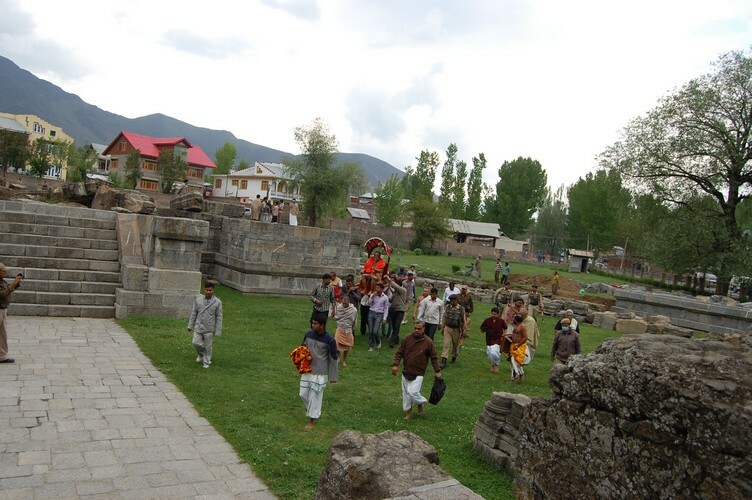 The Avantisvara Temple is dedicated to Lord Siva and is situated in District Pulwama, 30 kms from Srinagar on Srinagar - Anantnag National Highway on the banks of the River Jhelum( Vitasta). 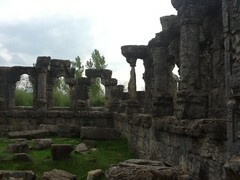 The temple was built by King Avantivarman (AD 855- 883). It is located in the centre of a courtyard surrounded by a colonnaded peristyle. 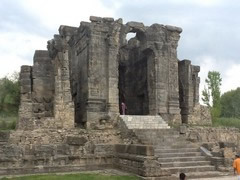 The temple is under the Archaeological Survey of India. Less than a kilometer from the Avantisvara temple is the other famous temple dedicated to Lord Vishnu -The Avantiswamin Temple. The King Avantivarman built this temple. The two temples are quite similar structurally. The Vaikunta Vishnu illustrated as frontispiece is said to be found in this temple. The walls of the entrance are ornamented with sculptured reliefs both internally and externally. The temples are beautiful and majestic even in their ruined state, leaving the visitor to imagine the splendour of the original structures. It is believed that the temples originally had a spread of close to two kilometers. Today, their circumference has been reduced quite drastically, leaving little scope for any restorational activity.